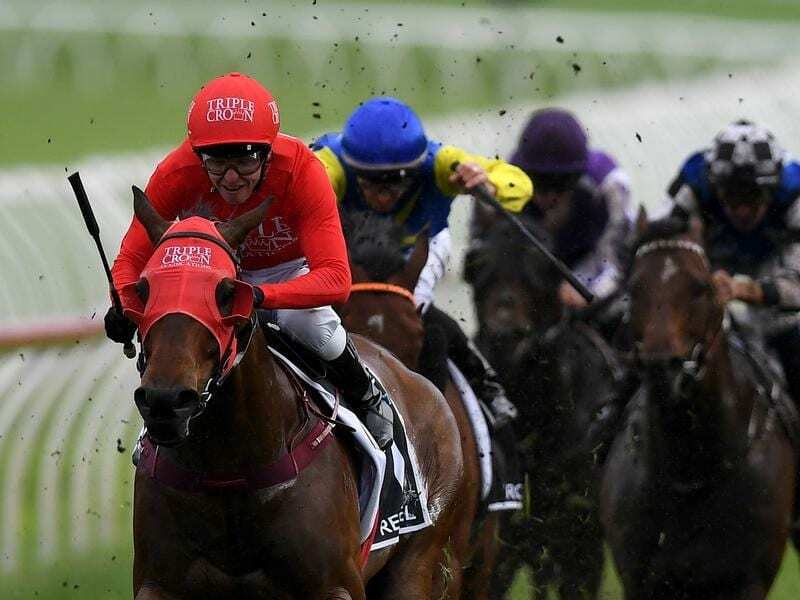 Connections are convinced Redzel can bounce back to winning form in the wfa TJ Smith Stakes. Paul Snowden has absolute faith Redzel can bounce back from an uncharacteristic last-start flop and regain his mantle as Australia’s best sprinter when he takes on a top field in the TJ Smith Stakes at Randwick. The dual Everest winner finished down the track behind Nature Strip in The Galaxy at Rosehill two weeks ago but co-trainer Snowden said he had genuine excuses. “We’ve just got to put a line through it. He got a severe check at a vital stage which didn’t aid his chances one little bit,” Snowden said. “It happened right at a stage when he’s usually towing into the race and with the weight he had to give everything, he was under the pump and yielding ground and that just doesn’t happen with this horse. Redzel has a much better record at Randwick where he has won eight of his 14 starts, three of them over the 1200-metre course and distance of the TJ Smith. He handles all track conditions and Snowden says he will be better suited under the weight-for-age scale rather than the handicap conditions of the Galaxy. The race has attracted a stellar field headlined by outstanding filly Sunlight and multiple Group One winners Trapeze Artist and Santa Ana Lane. But Snowden gives the impression he would not swap Redzel for any other horse in the race. “He wouldn’t be running if everything wasn’t right with him. He’s too good a horse to do that,” Snowden said. While the track conditions are not a concern for Redzel, the Snowdens are hoping there’s no more rain for Doncaster Mile contender Land Of Plenty. The five-year-old was scratched from the Ajax Stakes because of a rain-affected track then the Snowdens had little choice but to run him on heavy ground in the George Ryder Stakes last start when he finished sixth to Winx. While it hasn’t been a perfect campaign, Paul Snowden says the horse is fit and capable of running well if he gets the right conditions. “It’s been one of those preps with him. The weather has been a pain in the bum,” Snowden said.